Following breakfast, we will drive to Caesarea, the former capital of Judea. 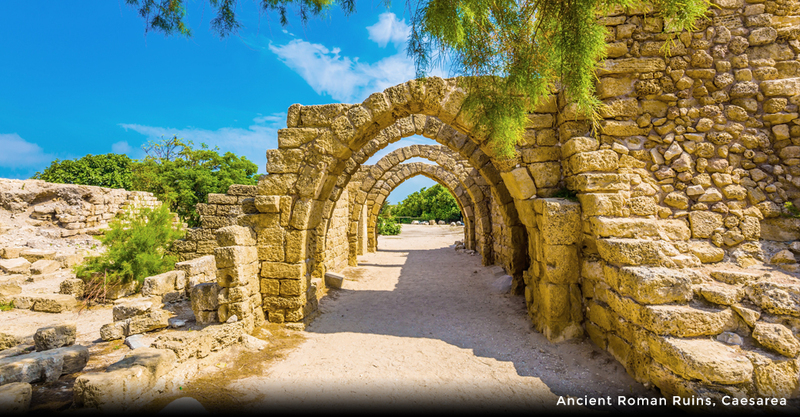 You will have the opportunity to visit the archaeological remains of this ancient port, which aided as base for the Herodian navy. Shortly after the time of Jesus Christ, it was revealed to Peter in Caesarea that the Good News (to repent) is not only intended for Jewish people, but also the entire world. 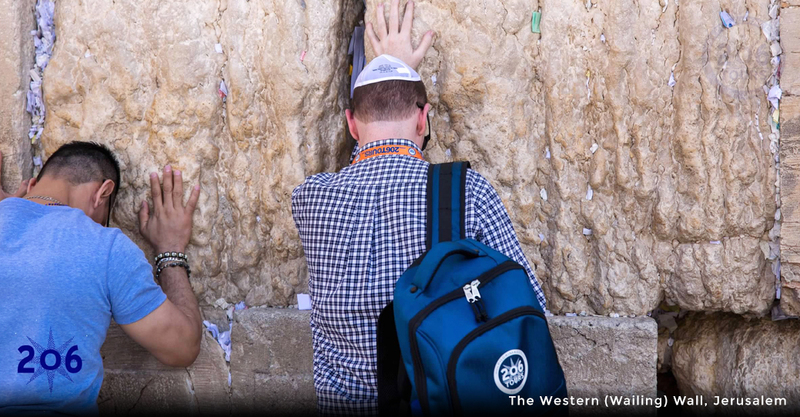 This is the place which officially ended the tradition of adhering to the Jewish ceremonial laws. As a result, Peter baptized a group of gentiles, the Roman Centurion, Cornelius, and his family. Con-tinue North to Haifa. 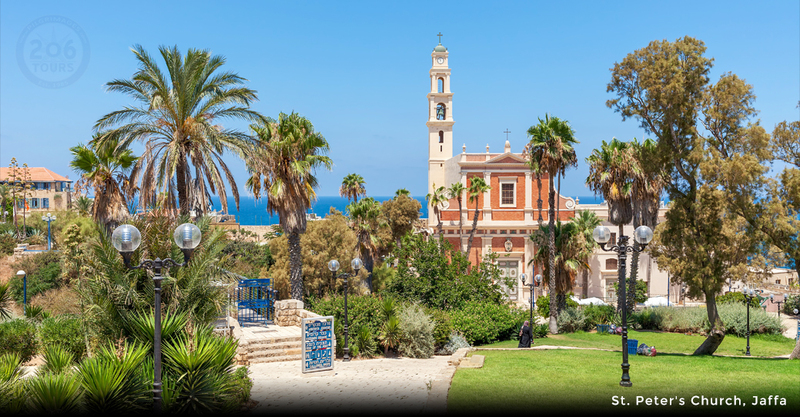 In Haifa, you will find Stella Maris, a Carmelite Monastery. 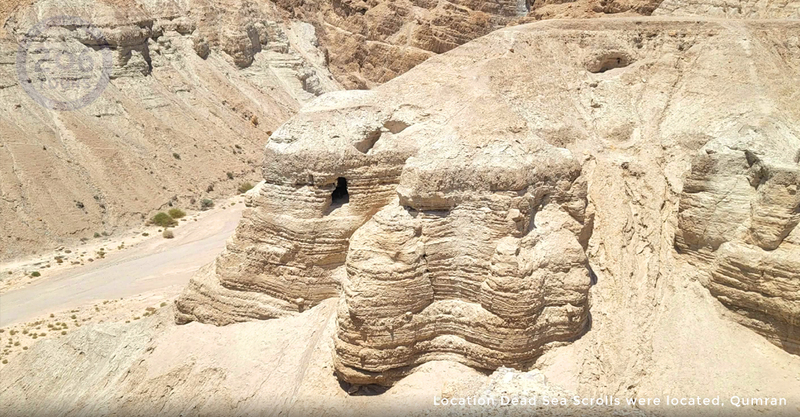 The monastery is located above the cave where Elijah, the prophet, once lived. A colorful painting of this "wonder-worker" can be found on the ceiling of the Church. Following this visit, enjoy the scenic drive (with view of the bay of Acco) to Nazareth. In Nazareth you will experience the town where Mary once lived and where Jesus lived as a child (Matthew 2:23). 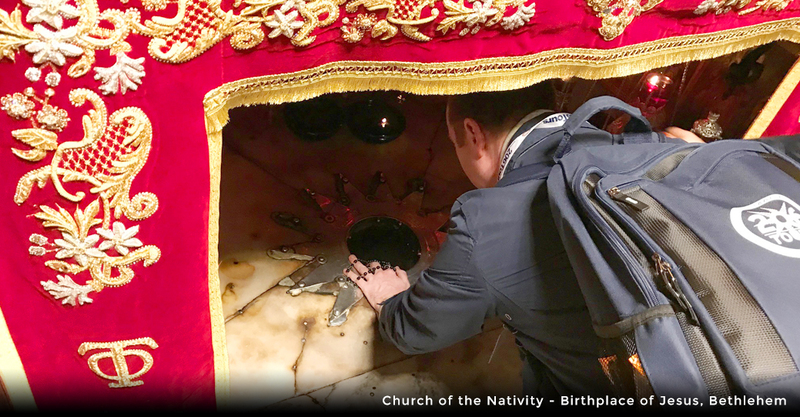 During the visit to Nazareth we visit the church of the Annunciation which includes the church of St Joseph ( It's not Byzantine - it's from 1914-21 built over Byzantine ruins) which tradition identifies it with the workshop of Joseph and the house of the Holy family. We will continue with a visit of the Church of the Incarnation, viewing at Grotto the remains of the house of the Blessed Virgin where the Angel appeared and announced the good news. Following Pilgrims path we visit Mary's well, where often the Virgin Mary would have walked to draw water from the spring. 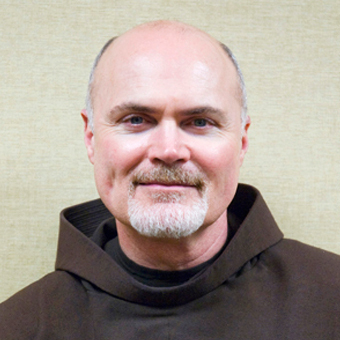 The next stop will be to Cana where you will visit the Franciscan Wedding Church. Couples will have the opportunity to participate in the ceremony to renew their wedding vows. 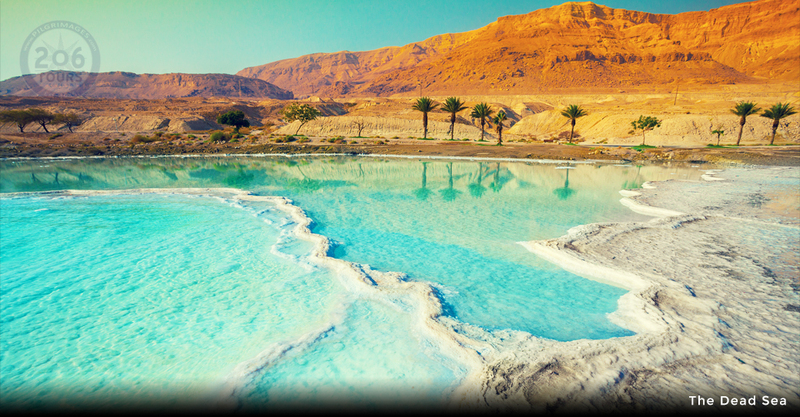 Your first day culminates with a transfer to Tiberias. 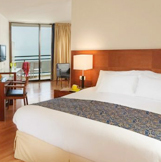 Upon arrival in Tiberias, you will check in to your hotel for dinner and overnight. 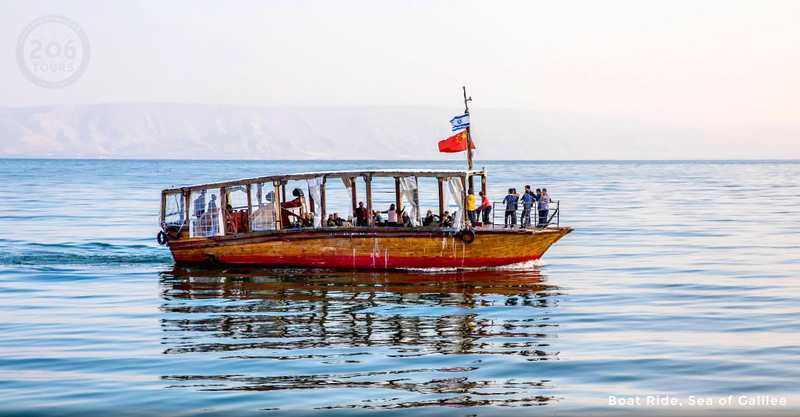 Today begin this day with breakfast at the hotel, followed by a boat ride on the beautiful and scenic Sea of Galilee (Luke 5:1). Upon docking the boat, you will have the opportunity to view the remains of a boat that dates back to the time of Jesus. 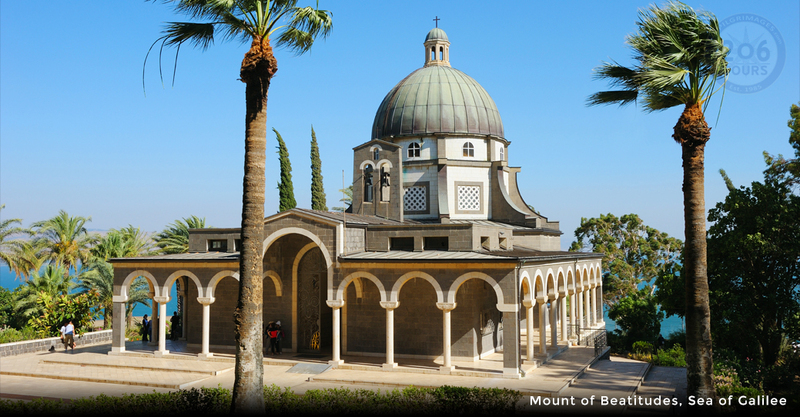 Following the Sea of Galilee, we continue to the Mount of Beatitudes, where Jesus proclaimed His great Sermon on the Mount (Luke 6:20-49). Near the Mount, is Tabgha, one of Jesus' miracle sites. At Tabgha, Jesus fed the crowd of 5,000 peo-ple from five loaves of bread and two fish (Luke 9:10-17). Also, in Tabgha is St. Peter's Primacy where Jesus bestowed church leadership upon Peter (John 21:9). Continue to visit the birthplace of Mary Magdalene in Magdala. During the time of Jesus, this village was a prosperous fishing village that exported fish and garum (a fish sauce reduction; popular in Roman cooking). Your day concludes at Capernaum, the launching place of Jesus' ministry. 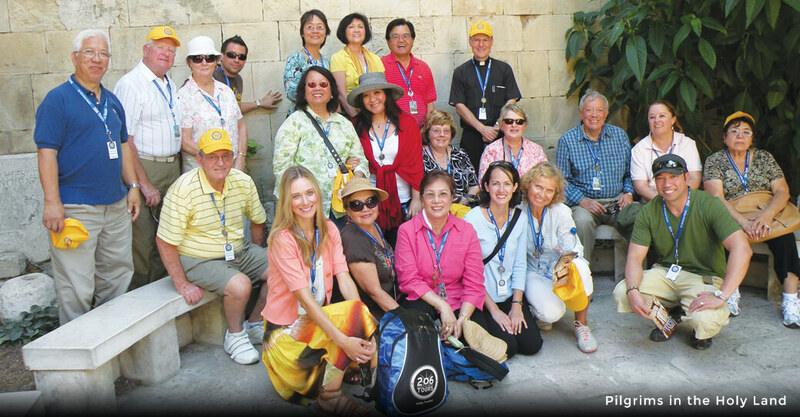 In Capernaum, see the Synagogue where Jesus taught (Mark 1:21-29) and gave His sermon on the Bread of Life. Return to the hotel for dinner and overnight. This morning, enjoy breakfast before we start our day in Jerusalem, which houses the temple to which Jesus was Presented (Luke 2:22). Visit a model of the Second Temple as it was in the time of Jesus. Following this visit, we will take a short drive to the village of Ein Karem, the birthplace of John the Baptist. 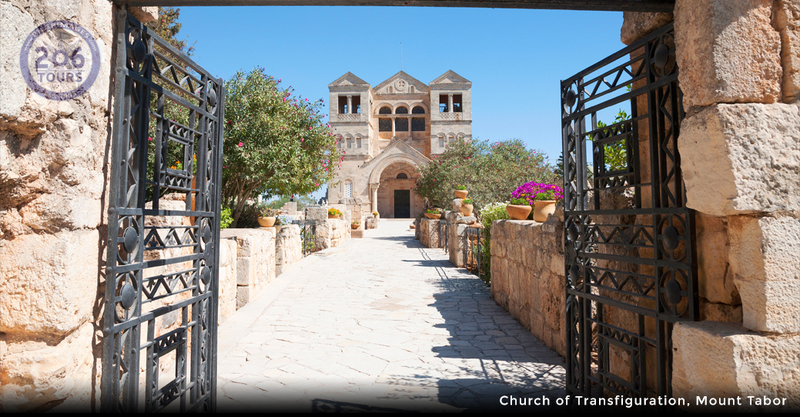 It is known that there are two churches in Ein Karem, both representing the two homes of Zechariah and Elizabeth. 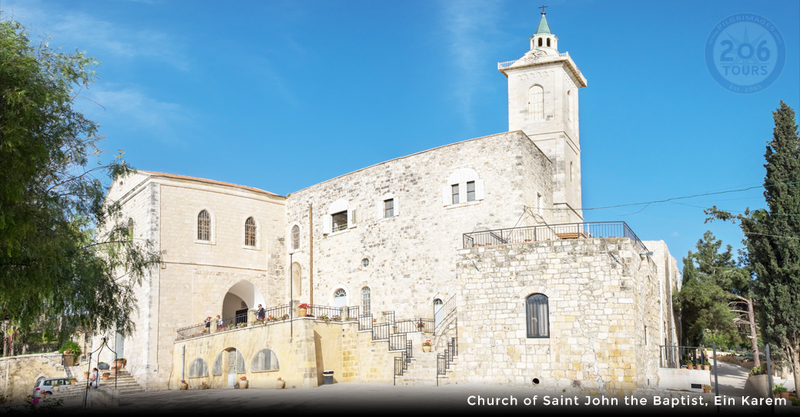 The first is in a valley where the birth of St. John the Baptist is commemorated (Luke 1:39-80) in the Church of the Nativity of St. John the Baptist. The second is on a hill where Elizabeth spent five months in seclusion (Luke 1:24) at the Church of the Visitation. 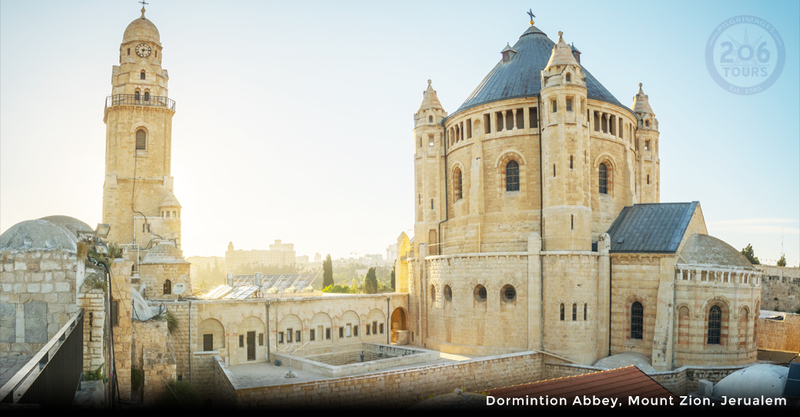 You will have a chance to visit both of these churches and have the opportunity to pray the Mystery of the Rosary as you walk up the hill to the Church of the Visitation. In the afternoon, transfer to Bethlehem, the birthplace of Jesus. In Bethlehem, you will have the opportunity to view the Shepherd's Fields (Luke 2:8). In the caves of these fields, you are still able to see the soot marks of fires that shepherds lit to keep warm. 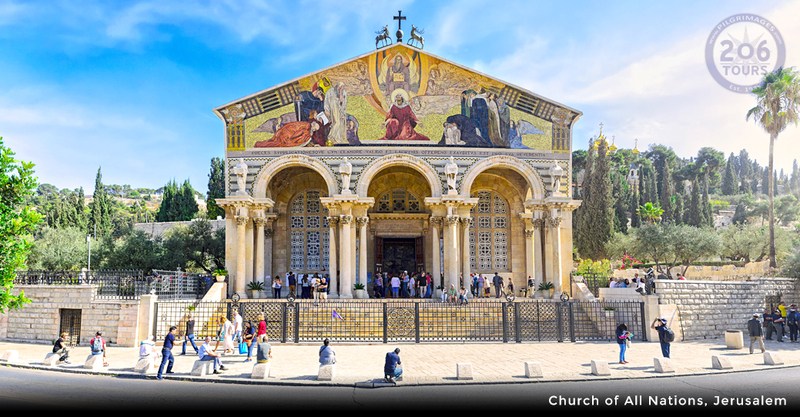 The tour concludes at the Manger Square which stands in front of the Church of the Nativity. As you enter the Church, you will proceed down to the Grotto of the Nativity which marks the spot of Our Savior's birth (Matthew 2:1-18). Beneath the altar, there is a silver star and a Latin in-scription that states: HIC DE VIRGINE MARIA JESUS CHRISTUS NATUS (Here Jesus Christ was born to the Virgin Mary). Following Mass in this Sacred space, return to the hotel for dinner and overnight. This morning you will have a very early wakeup to begin the Via Dolorosa (The Way of the Cross) at the Antonia Fortress. This is the spot where Jesus was condemned to death by Pontius Pilate (John 18:28-19:16). 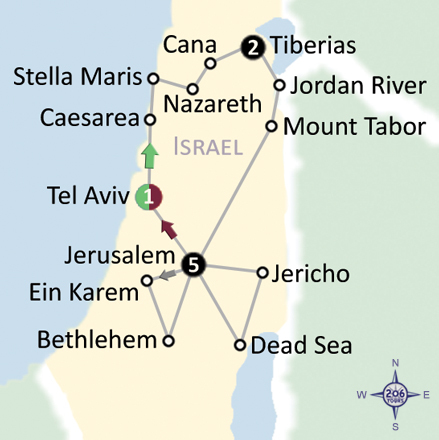 Following His condemnation, He was taken (on the Road to Calvary) to His place of Crucifixion. 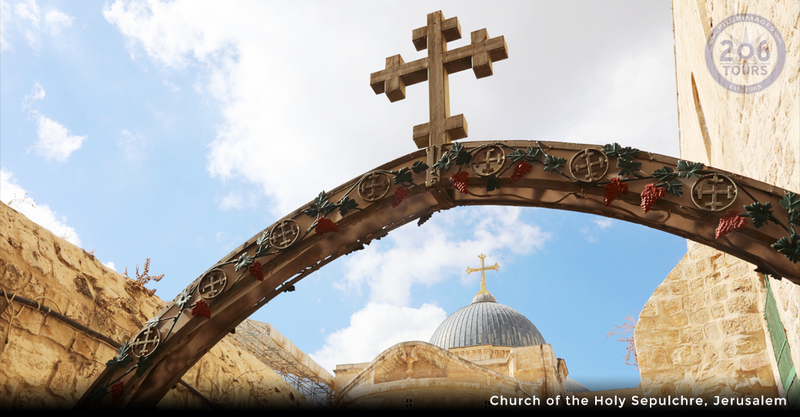 Reflect upon the Stations of the Cross as you travel through the markets of the Old City to the Church of the Holy Sepulcher (Luke 23:26-33). 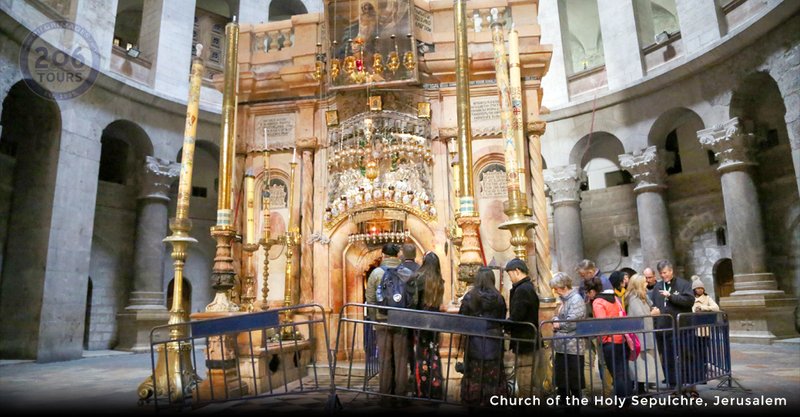 This sacred destination is the site of Calvary (Jesus' crucifixion place) and His tomb (Luke 23: 50-55). 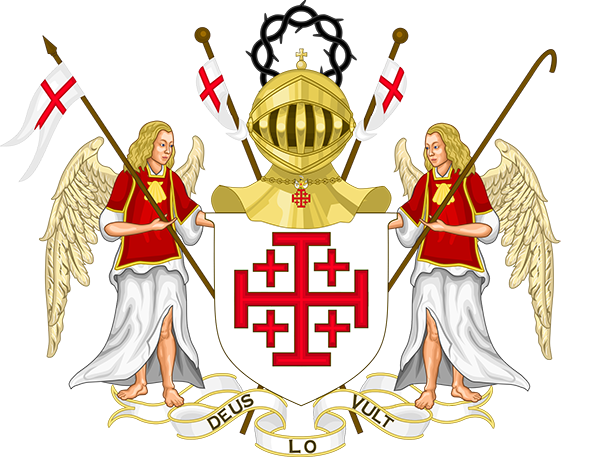 Celebrate Mass at the Church of the Holy Sepulchre. Following Mass, we will return to the hotel to enjoy breakfast. 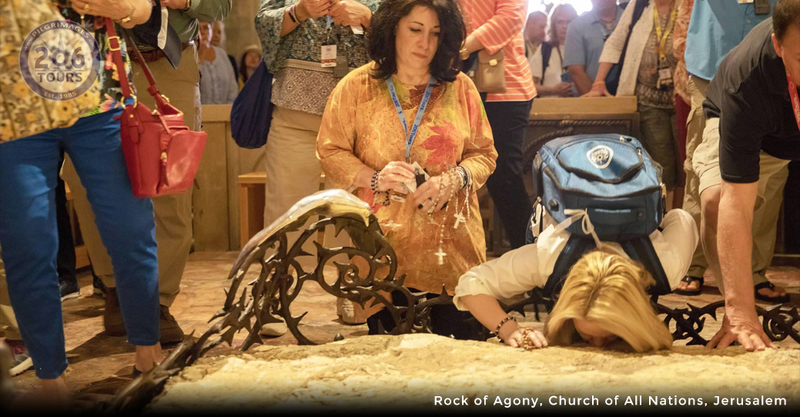 We will continue our day with a visit to the Church of St. Anne's, the home of Jesus' maternal grandparents (Anne and Joachim); and the Pool of Bethesda, where Jesus healed the crippled man (John 5:1-9). This afternoon, enjoy a revisit to the Old City. 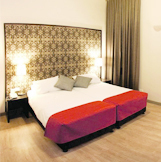 Following this visit return to the hotel to enjoy dinner and overnight at your hotel.